Students and faculty involved in environmental philosophy and ethics (EP&E) at MSU currently sustain several interdisciplinary projects throughout the University, the broader Lansing community, the state of Michigan and the Great Lakes region. These projects integrate philosophical skills and concepts with work that addresses felt environmental and agricultural issues. Being Human in the Age of Humans. EP&E faculty Kyle Whyte is one of the project leaders of this Humanities Without Walls Consortium funded project. 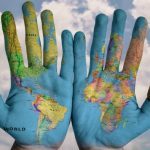 The project aims to foster ongoing research about the Anthropocene in order to understand humanity’s place in planetary evolution and explore questions of theological, philosophical, and religious import by building a cohort of scholars in the fields of theology, philosophy, and religious studies who will continue to probe questions about the Anthropocene in their disciplines. The Tribal Climate Camp (TTCC). EP&E faculty Kyle Whyte chairs the Steering and Curriculum committees for the TTCC which is a component of the largest tribal cooperative effort to address climate change in the nation. The overall goal of TTCC is to build the capacity of tribal leader teams to address climate change and associated economic, social, cultural, regulatory, and technological trends and impacts within their tribes, between tribes and between tribes and other governments, through strategic alliances with partners across Indian Country and globally. TTCC is supported by The Affiliated Tribes of Northwest Indians (ATNI), the Institute for Tribal Government (ITG), the United South and Eastern Tribes (USET), the Department of the Interior’s (DOI) Northwest Climate Science Center (NW CSC) and DOI’s Bureau of Indian Affairs (BIA). Cultivating Cultures of Ethical STEM in Collaborations between Climate Change Decision-Support Organizations and Indigenous Peoples. EP&E faculty Kyle Whyte (PI) with colleagues Julie Libarkin and Christopher Caldwell are investigators in an NSF funded project to understand the range of practices that climate science organizations employ to prepare their staff for ethical issues that will occur when engaging with Tribes and to evaluate the perceptions of the effectiveness of these practices from organizational and Tribal perspectives. The project supports better collaboration between governmental and nongovernmental organizations in the U.S. and Tribes and will improve the government-to-government relationship and the U.S. federal trust responsibility for Tribes, increase the ability of Tribes to work with non-federal nonprofit groups, and create knowledge that will build awareness of how Tribal self-determination and sovereignty can be advanced through collaboration with decision-support organizations. Indigenous Planning Summer Institute (IPSI). EP&P faculty Kyle Whyte is on the planning team for IPSI which seeks to introduce participants to Indigenous planning concepts in an Indigenous-led educational environment, introduce participants to Menominee Nation’s sustainable forestry, and create a cohort for participating students to connect with as they continue their future professional or academic/scientific education and careers. 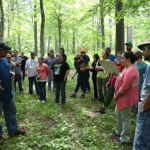 IPSI partners with the Sustainable Development Institute at the College of Menominee Nation, the Indigenous Design and Planning Institute at the University of New Mexico, the Northeast Climate Science Center, and Michigan State University. Humanities Without Walls-Global Midwest Initiative: The New Ethics of Food: EP&E faculty Gretel Van Wieren, Paul Thompson, and Kyle Whyte are working with MSU Digital Humanities Librarian Thomas Padilla, Nancy Tuana at Penn State, Robert Steiffer and Jesse Steinberg at University of Wisconsin-Madison, and EP&E graduate student Ian Werkheiser on a project entitled “The New Ethics of Food.” This project is part of the Mellon Foundation-funded Humanities Without Walls-Globale Midwest Initiative. 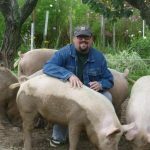 The project seeks to build up a network of transdisciplinary research and activism centered on the emerging ethics of food coming out of the problems and potentials in the Midwest’s unique position. Values and Policy in Interdisciplinary Environmental Science: A Dialogue-based Framework for Ethics Education: EP&E faculty Michael O’Rourke (PI) and Kyle Whyte, with MSU colleagues Sean Valles (philosophy) and Tom Dietz (sociology), are investigators in an NSF funded project to develop an approach to graduate ethics education in interdisciplinary environmental science courses that better prepares the next generation of environmental scientists to solve complex problems. 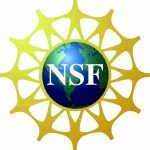 A structured yet flexible ethics education framework will be created for developing course modules that can subsequently be adopted for use in classroom dialogue, building on results of work previously funded by NSF (the Toolbox Project). Students in courses using these modules will participate actively in identifying and assessing values-related challenges that are at the intersection of multiple environmental perspectives and at the intersection of science with policy. Supporting Tribal Climate Change Adaptation Planning through Community Participatory Strategic Foresight Scenario Development: EP&E faculty Kyle Whyte is an investigator with Dean Fellman (PI) of the Center for First Americans Forestlands (College of Menominee Nation) and Mike Dockry of the U.S. Forest Service that seeks to re-imagine how strategic foresight processes can be included in Indigenous people’s climate adaptation plans in the Great Lakes basin. The project is funded by the Great Lakes Integrated Sciences and Assessments Center. Indigenous peoples have definite interests in planning in advance for how to adapt to climate change because of the impacts on their communities. Interests range from protecting and enhancing tribal members’ access to culturally significant species, like black ash and wild rice, to maintaining viable economic enterprises, like tribal forest and marine products industries, to being able to provide adequate social services to tribal members who may increasingly experience depression and distress in response to recognizable and felt ecological changes. The project will explore strategic foresight processes that meet Indigenous people’s the cultural, scientific, social, jurisdictional and legal goals. The Toolbox Dialogue Initiative: EP&E faculty members Michael O’Rourke and Stephanie E. Vasko are, respectively, the director and program manager of the Toolbox Dialogue Initiative. TDI partners with environmental initiatives and teams, providing communication enhancement and team development opportunities, along with data for use in evaluating integrative activities. Current long-term partners include AgBioResearch at Michigan State University and the Centre for Agriculture and Biosciences International’s Woody Weeds in East Africa project. Previous partners have included the Northwest Climate Science Center (NW CSC) and the Regional Approaches to Climate Change—Pacific Northwest Agriculture (REACCH) Cooperative Agricultural Project. 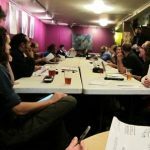 TDI also provides one-time workshops and has worked with partners interested in sustainability planning, addressing environmental disasters, and issues related to food. Everybody Eats Community Conference: EP&E faculty member Kyle Whyte coordinates Everybody Eats: Cultivating Food Democracy, a yearly conference on food justice for academics and the wider public in the greater Lansing area. EP&E colleagues Ian Werkheiser, Zach Piso, Samantha Noll and Esme Murdock have supported in the planning efforts during the last 3 years. The conference is a large forum involving dozens of public and private efforts – farms, farmers markets, gardens, food hubs, coops, restaurants, numerous nonprofits – who come together to discuss what it means to be self-sustaining and equitable, especially with regard to the processes being used and policies being developed for changing the food system landscape in Lansing. The conference forms a part of an on-going public conversation about maintaining an inclusive, democratic, and ethical food system. Respecting Tribes and First Nations in Environmental Governance: This project is led by EP&E faculty member Kyle Whyte, Peggy Smith (Lakehead), Nicholas Reo (Dartmouth) and Deb McGregor (Toronto). It is funded by the Upper Midwest/Great Lakes Landscape Conservation Cooperative. Supportive partners in this endeavor include the Sault Ste Marie Tribe of Chippewa Indians’ Cultural and Inland Fish and Wildlife departments, the Anishinabek Nation’s Lands and Resources Division, the Great Lakes Indian Fish and Wildlife Commission, and The Nature Conservancy’s Great Lakes Project. Certain natural resource and environmental issues have impacts across broad geographic areas and require cross-boundary management approaches. For example, when addressing topics like invasive species, fish/wildlife migration, climate change, or river restoration, intergovernmental cooperation may lead to improved ecological outcomes. The goal is to develop a set of well-tested principles and/or frameworks for the robust, authentic inclusion of Tribes, First Nations and Indigenous organizations in multi-party, regional resource management issues. Ethics Education and Sustainable Agriculture: EP&E faculty and graduate students Kyle Whyte, Samantha Noll, Esme Murdock and Matt Ferkany are involved in a collaboration on ethics education with Laurie Thorp, Dale Rozeboom, Kevin Turner, and Lissy Goralnik in the College of Agriculture and Lyman Briggs College. Undergraduate and graduate students learn about ethics and sustainable agriculture through experiential learning at the MSU Student Organic Farm and MSU Swine Farm. Sustainable Michigan Endowed Project (SMEP): EP&E faculty Paul Thompson directs SMEP. SMEP serves as a catalyst and convener of interdisciplinary dialogue and research around existing and emerging sustainability topics, and has invested considerable resources in exploring the implications of sustainability particularly for the future of Michigan. It has developed in depth conceptualizations about what comprises engaged sustainability scholarship and how that would translate into research, teaching and outreach. It has been able to clearly differentiate the types of research and knowledge where science alone can provide potential solutions (e.g. tame problems) and where the identification of potential solutions must be collaborative with stakeholders and other social actors (wicked problems). SMEP is now moving to widen the recognition of the significance of these differences for the role of science in addressing societal concerns. SMEP has recently funded a statewide Environmental Justice Summit planned by the Michigan Environmental Justice Coalition, of which EP&E faculty member Kyle Whyte is a founding member. Shifting Seasons: Tribal Adaptation Planning for the Northeast Region: EP&E faculty Kyle Whyte works with Chris Caldwell (College of Menominee Nation Sustainable Development Institute) and Sue Wotkyns (Institute of Tribal Environmental Professionals) on a Bureau of Indian Affairs funded project that seeks to hold a summit centered around climate change adaptation planning training sessions tailored to the needs and capacities of tribes in the northeast. 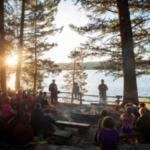 The summit activities will range from workshops connecting tribes and scientific resources on tribal terms to workshops discussing the ethics of partnership and cooperation. The summit, to be held in Fall 2014, will be developed into a webinar for wide distribution. 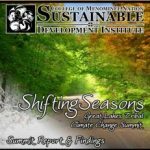 The summit follows from the first 2011 Shifting Seasons summit hosted by the College of Menominee Nation. 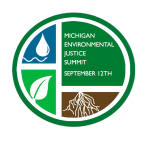 Michigan Environmental Justice Summit: SMEP funded a statewide Environmental Justice Summit in 2014 planned by the Michigan Environmental Justice Coalition (MEJC), of which EP&E faculty member Kyle Whyte is a founding member. SMEP and MEJC convened the summit to bring together groups and individuals from throughout the state who seek to achieve a clean, healthy and safe environment for Michiganders by working with all residents to hold public and private institutions accountable to the communities for whom they serve and in which they operate. This summit was designed to provide perspectives and stories on environmental justice (EJ) organizing and policy in Michigan and will lead to greater connections among organizers, community leaders, researchers, and government. 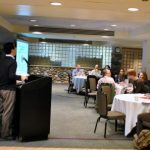 This summit seeks to motivate future EJ summits in Michigan.